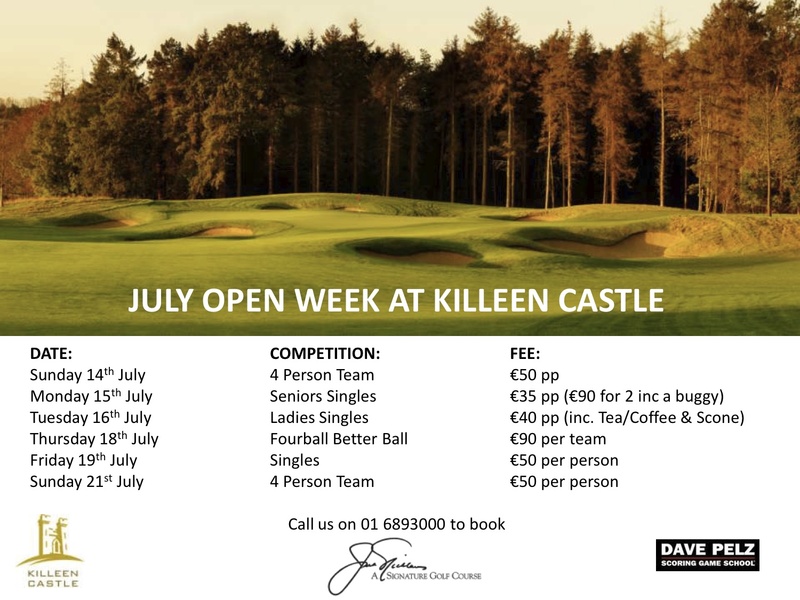 The Jack Nicklaus-designed idyll that is Killeen Castle is charging between €35 and €50 to play over its expansive Co Meath landscape. 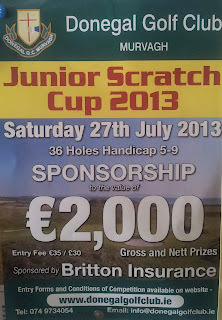 Given the time of year, this is a good value green fee for a course that has become one of Ireland's top parklands. Click on the image to see the details enlarged. 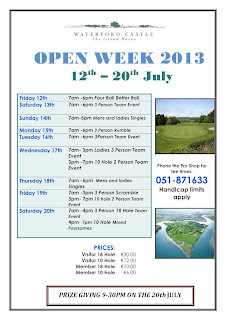 Elsewhere, and a little further south, Waterford Castle is holding its Open Week between Friday 12th and Saturday 20th. Entry is €20 for Visitors. More photos of the course. 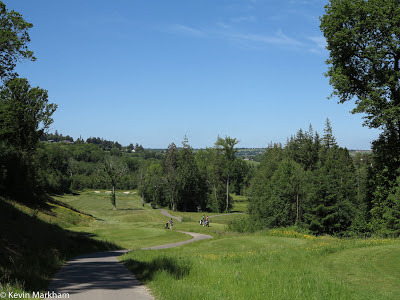 Bunclody is running its own series of events at its beautiful course on the Carlow/Wexford border. 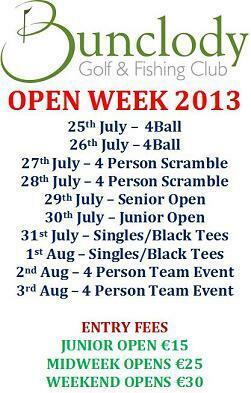 Events start on 25th July and prices range from €25 - €30. See below. For a review of the course, click here. 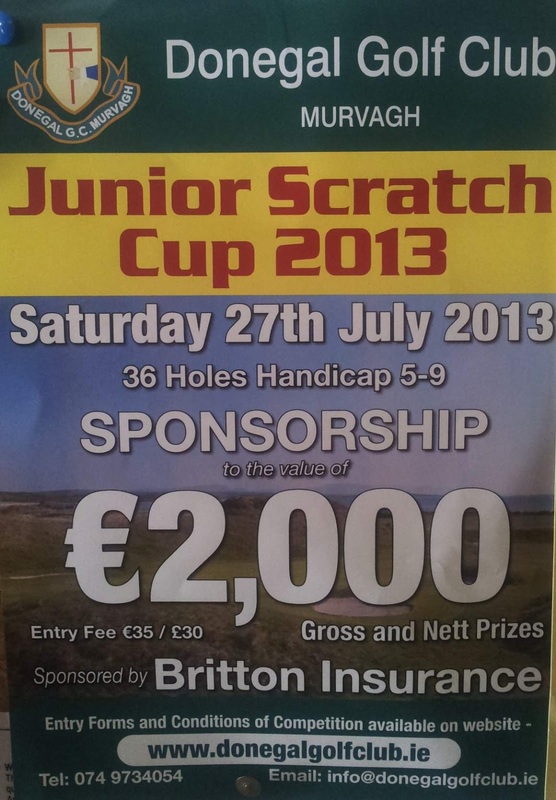 The TopGolfer event takes a Junior and Senior Scratch Cup to Grange in Rathfarnham on Friday, 19th July. It is one of Dublin's most colourful courses and you can play it from the back sticks for €30. 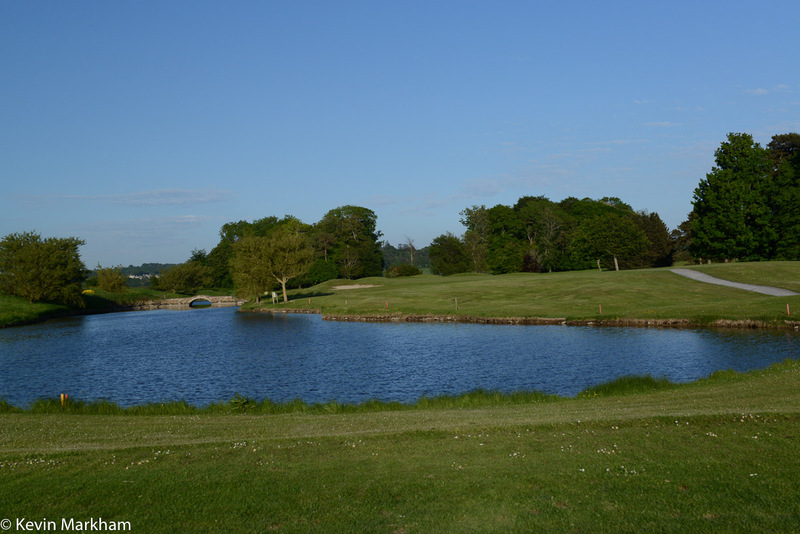 And finally, for the competitive low handicappers (5 - 9), here's an event at Donegal Golf Club, played over 36 holes for €35. 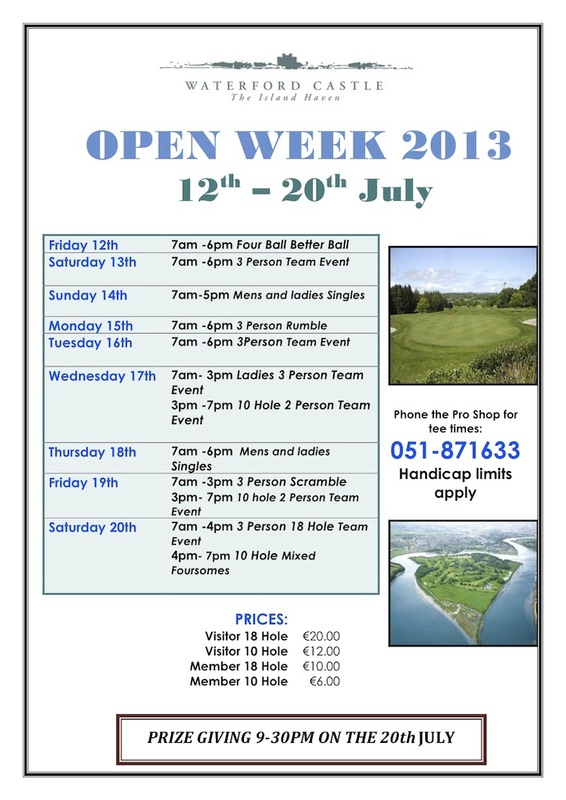 There are plenty of other Irish golf courses with Open Weeks/Events coming up. If you know of any, please leave a Comment below.